Adding third growth leg by securing Jurassic World IP rights. Full schedule for Jurassic World till 2019; second set in the pipeline. Assume six travelling sets for FY2017 and nine for FY2018, up from five and seven previously. Earnings for FY17F – FY18F raised by 11-14%; Target Price lifted to S$1.45. On stronger footing with the acquisition of a third IP. With the acquisition of Jurassic World, Cityneon is now on a stronger and firmer growth path. Together with the existing two Intellectual Property rights (IPs) – Avengers and Transformers - Cityneon has added a third growth leg, to help the group to propel to even greater heights. We continue to expect Cityneon to deliver explosive FY16-FY18F EPS CAGR growth of c.200%. 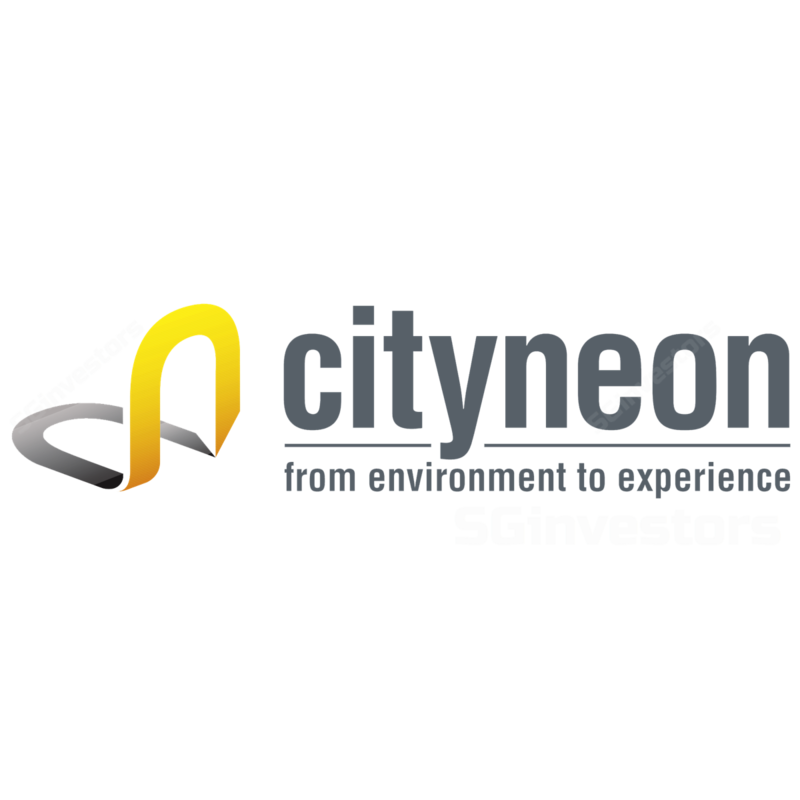 Trading at a low PE to growth ratio of 0.2x FY2018F earnings, Cityneon is attractive to investors seeking unique ideas in the entertainment industry. Where We Differ: Assume more travelling sets. Including the new Jurassic World, we now assume six travelling sets for FY17 (four Avengers, one each for Transformers and Jurassic World) and nine sets for FY18 (five Avengers, two each for Transformers and Jurassic World), vs consensus of five sets for FY17F and seven sets for FY18F. Potential Catalyst: An expanding project pipeline, and focus on higher margin projects for the Traditional business are catalysts. Maintain BUY; TP S$1.45, up from S$1.23. We raised earnings for FY17F by 11% after incorporating a 3-month contribution from Jurassic World, offset by higher interest expense and higher maintenance cost for Jurassic World. For FY18F, we lifted earnings by 14%. We have assumed the construction of an additional Jurassic World travelling set. Our target price is now S$1.45, revised up from S$1.23. We maintain our PE valuation peg of 14.4x, which is at a 20% discount to peers’ average PE of 18x on FY 2018F earnings. Embarked on first acquisition post the entry of new substantial shareholder, Lucrum 1. The stake sale by previous major shareholder, Star Media for US$85m (~S$115.2m) in July 2017 has paved the way for the entry of Lucrum 1, a consortium led by Mr. Ron Tan, Executive Chairman & Group CEO of Cityneon, who now owns about 70% in Cityneon. The first deal led by Lucrum 1 is the acquisition of 100% stake in JP Exhibitions (JPE) for US$25m (~S$33.8m), securing Cityneon the ability to own the intellectual property (IP) rights to Jurassic World – The Exhibition. Universal Studio is the legal owner of the Jurassic World IP rights. JPE was acquired at a PE of 5x based on forward earnings for the 12-month period ending 7 January 2018 of US$5m, which is the profit target. This compares favourably to the ~7x PE that was paid for the acquisition of VHE back in 2015. This acquisition was funded by existing cash and bank borrowings. Jurassic World, first launched in 2016, in third touring location now. Cityneon is buying into a profitable company. Since its launch in 2016, Jurassic World has toured in Melbourne, Philadelphia and is now based in Chicago, from 26 May 2017 to 7 January 2018. JPE recorded net profit of S$3m in FY2016, mainly from the exhibition in Melbourne (from March 2016 to October 2016), vs the profit target of US$5m, which includes contribution from the Philadelphia and Chicago exhibitions. Building on past success with third IP secured. Cityneon is building its next phase of growth with the acquisition of its third IP, Jurassic World – The Exhibition, which is associated with the blockbuster movie franchise. Since 2015, Jurassic World has become the third highest grossing film in cinema history with over US$1.6bn in receipts. This success has spurred the creation of a sequel – Jurassic World: Fallen Kingdom - slated for release in 2018. This 3rd IP follows Disney’s Marvel Avengers S.T.A.T.I.O.N., which was successfully launched worldwide in seven cities – New York, Seoul, Paris, Las Vegas, Singapore, Beijing, and Taipei; and also Hasbro’s Transformers, scheduled to be premiered in China at the end of 2017. Adopt same operating model as Avengers and Transformers. Similar to the other two IPs, Cityneon will work with a local operating partner and book revenues that include licensing fees, minimum guarantees from the operator and also from merchandise sales. Execution risk is minimal as the bulk of the risk is borne by the operator. Relationship with three key entertainment / leisure companies – Disney, Hasbro and Universal Studio. With this latest addition, Cityneon now has an entrenched relationship with three key entertainment / leisure companies. This should pave the way for potential future collaboration on other projects. Schedule for Jurassic World full till 2019; second set in the pipeline. Jurassic World is slated to tour another two cities in the USA, after Chicago in 2018, before it moves on to Europe and Asia. Due to its popularity and increasing demand, Cityneon is planning to build a second travelling set in 2018. Boost to existing exhibition sets with the appointment of new Group Chief Creative Officer. Welby Altidor, former Executive Creative Director of Creations for 16 years at Cirque du Soleil, was appointed Group Chief Creative Officer. With Welby helming the Creative Team, Cityneon can leverage on his experience to spearhead and transform the existing two IPs to scale new heights, as well as design and execute new projects and business ventures. Focus on higher margins theme park projects. Six travelling sets for FY2017 and nine for FY2018. Including the new Jurassic World, we now assume six travelling sets for FY17 (four Avengers, one each for Transformers and Jurassic World) and nine sets for FY18 (five Avengers, two each for Transformers and Jurassic World). After incorporating a 3-month contribution from Jurassic World, interest expense for the bank loan to part finance the acquisition of the third IP, and also higher maintenance cost for Jurassic World, we now expect earnings growth of 147% for FY17F, which incorporates a full-year contribution from VHE that owns the three IP rights. For FY18F, we have assumed the construction of an additional Jurassic World travelling set. The construction cost for this set is expected to be higher, at about US$5m, vs around US$3m for Avengers and Transformers. With the full contribution of the Jurassic World exhibition set, we expect FY18F earnings to continue to register strong growth of 51%. Our target price is now S$1.45, revised up from the previous S$1.23. We maintain our PE valuation peg of 14.4x, which is at a 20% discount to peers’ average PE of 18x on FY 2018F earnings. Catalysts include securing more locations for the travelling sets.